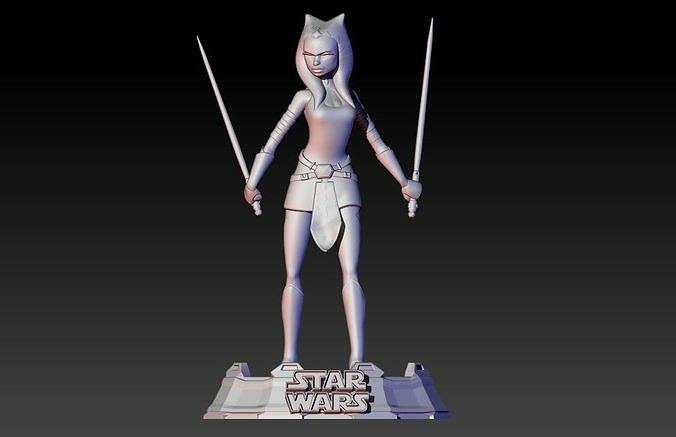 Ahsoka Tano is a character in the Star Wars franchise. Introduced as the Padawan apprentice of Anakin Skywalker, she is a protagonist of the 2008 animated film Star Wars: The Clone Wars and the subsequent TV series. Files extracted for 30cm model. Divided into parts for easy print.